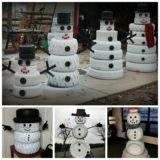 When it comes to celebrating spring, our kids get excited every single year and immediately want to run outside and play in the sun. 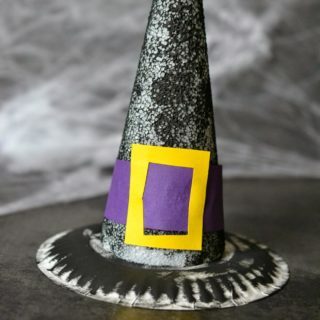 Unfortunately, however, spring is actually a very wet time of year and the rain keeps them inside more often than they’d like. 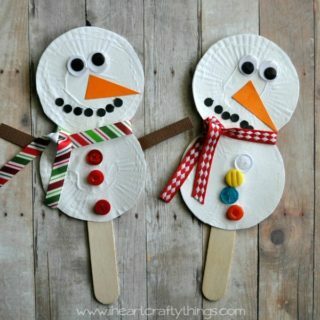 On those days, we like to use crafts to help them celebrate the excitement of a season change instead! 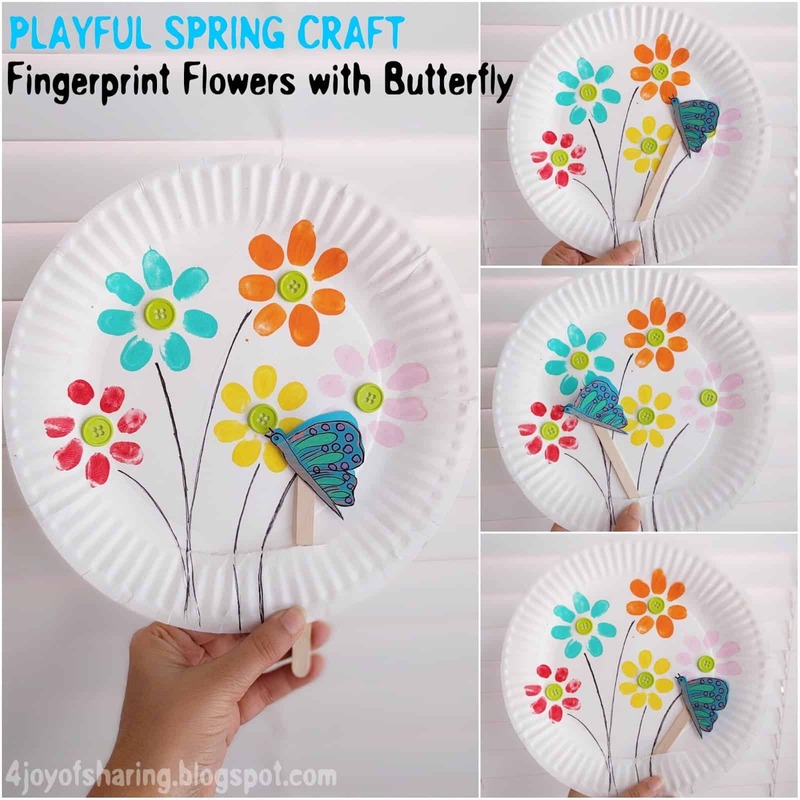 That’s why we’ve had our eyes peeled for awesome floral themed spring crafts for them to try out over the next few weeks. 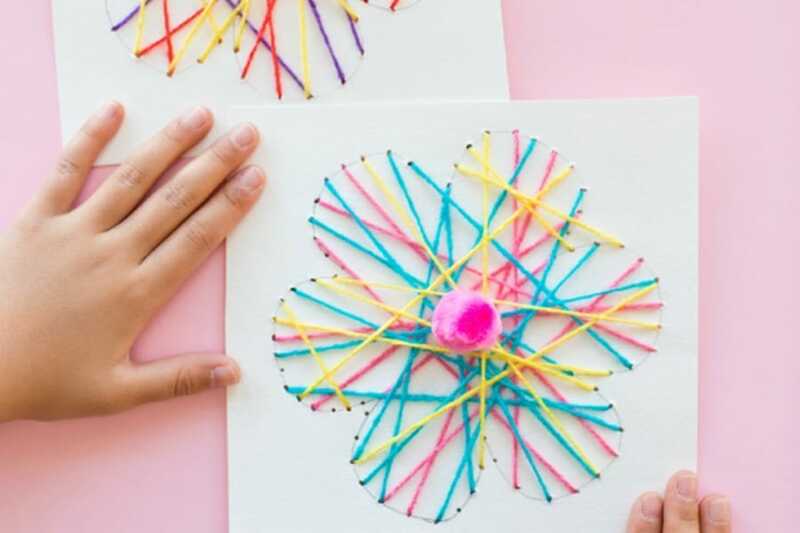 Just in case you love the idea of collecting spring kids’ craft ideas for your little ones just as much as we do, if not more, here are 15 of the very best floral tutorials that we’ve come across so far in this year’s search! 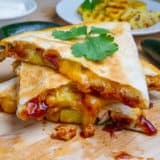 In our house, the kids adore turning regular kitchen supplies into all kinds of new things, making pretty simple for us to keep them amused because we often already have whatever they need lying around. 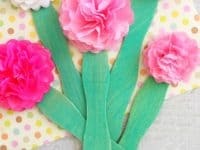 This cupcake liner flower project is the perfect example of what we mean! 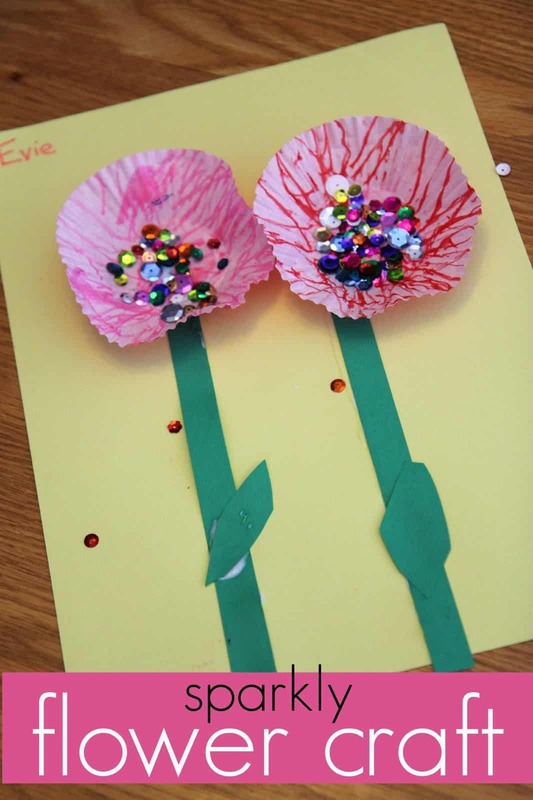 Teach Mama shows you how to make it happen using the liners, construction paper, and sequins. 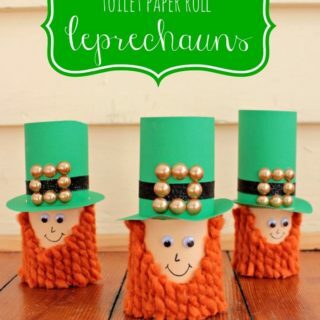 Have you actually been hoping to find a few ways that will help you keep your kids busy with only really simple craft supplies, like construction paper, because you’ve been too busy to restock some of the fancier things lately and you know they’re likely to want to craft at any moment? 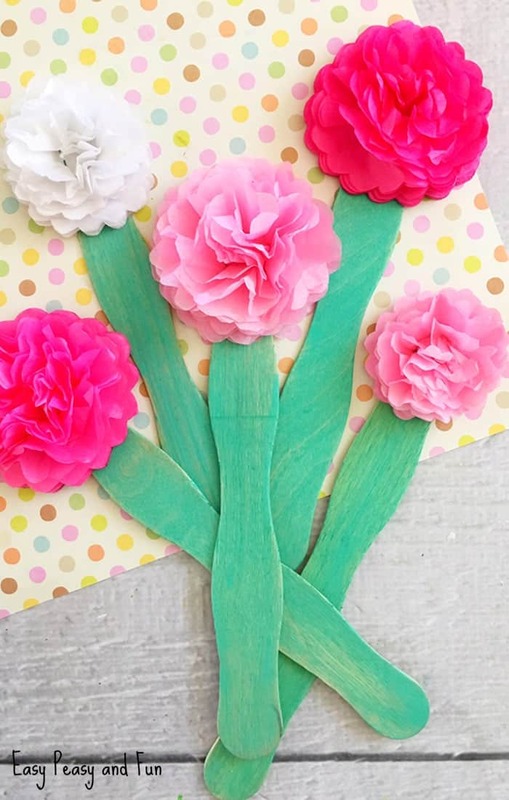 Then we think you’ll appreciate the way Crafting Hours made these lovely construction paper flowers using cutting, pasting, and folding techniques! 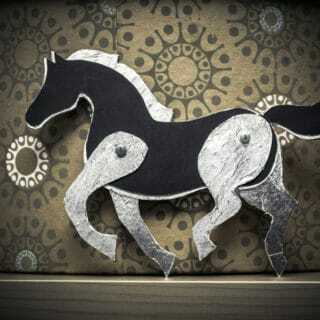 Here’s an awesome craft that kind of combines a lot of the simple ideas we’ve talked about so far, all in one place! 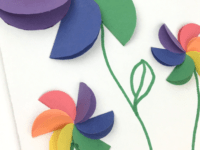 We really enjoy the way Twitchetts outlines the process of turning a series of colourful paper circles into 3D flower petals in just one fold, gluing one sides to the paper til you’ve got a whole flower you can illustrate a stem for. 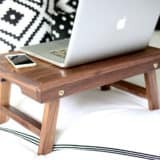 Were you a pretty big fan of the concept of using what’s already in your kitchen but you think you might prefer to make it an opportunity for upcycling instead of just using something you might actually need later? 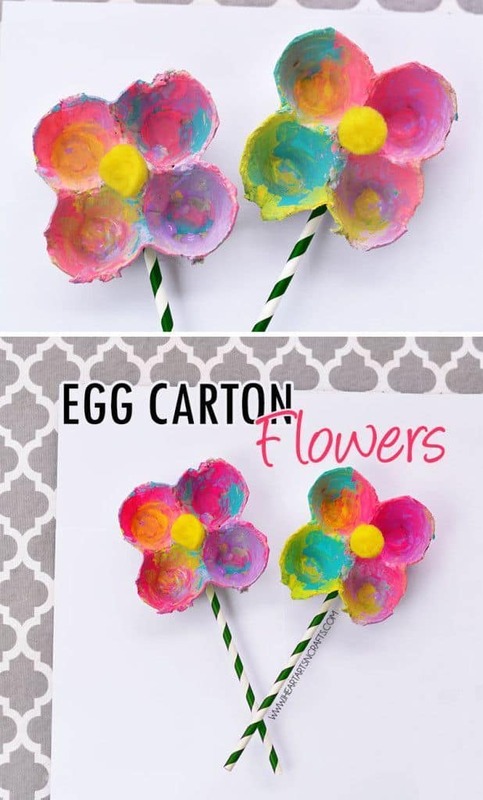 In that case, we’d definitely suggest taking a look at how iHeart Arts n’ Crafts made these cute little flowers using paper straws and an empty egg carton! 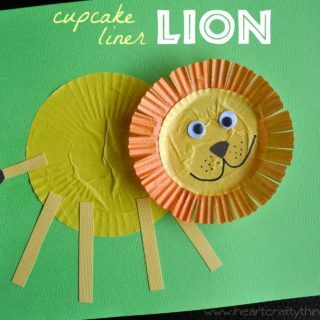 Are your kids actually a little bit older and therefore able to practice a little more patience in their crafting? 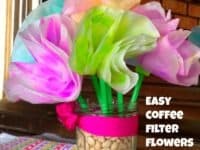 In that case, we think you might get along a little better with something like these layered tissue paper flowers featured step by step on Easy Peasy and Fun! 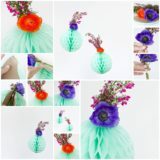 They show you how to create the petals until the flower is voluminous on the end of your popsicle stick. 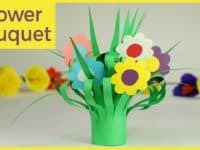 Are you really loving both the idea of making layered flowers and the idea of making them out of colourful construction paper but you can’t help feeling like your kids would feel more amused if what they got to make was nice and big, rather than being as small as some of the ideas you’ve seen so far? 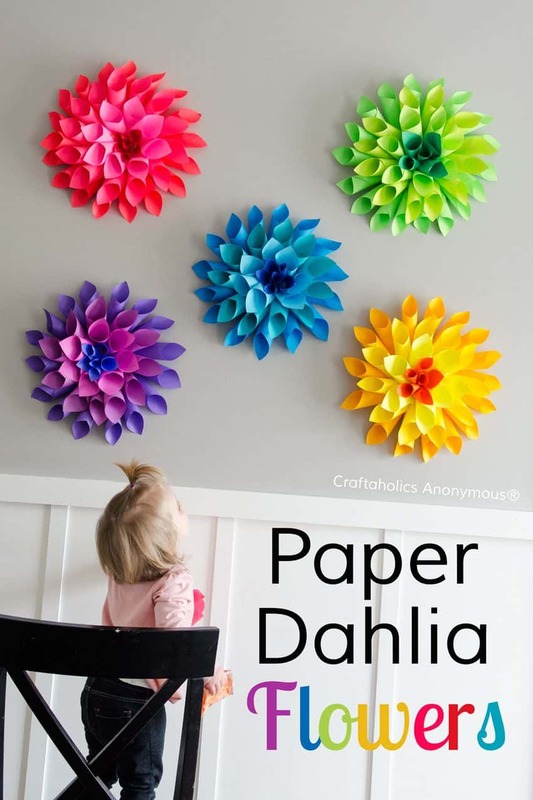 In that case, we’d definitely suggest taking a look at how Craftaholics Anonymous used paper rolling techniques to make these fantastic Dahlia flowers that they hung on the wall for spring! 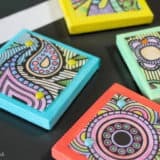 In our house, the positively most popular crafts are those that can be played with in some way when they’re done and those that involve some element of mess. 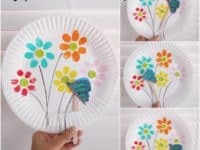 Luckily for all of us, this super fun and super easy paper plate project from The Joy of Sharing involves both of those things! 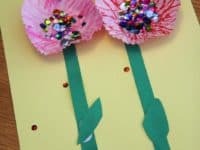 Their tutorial shows you how to make a flying popsicle stick butterfly and some fingerprint flowers for it to flutter through. 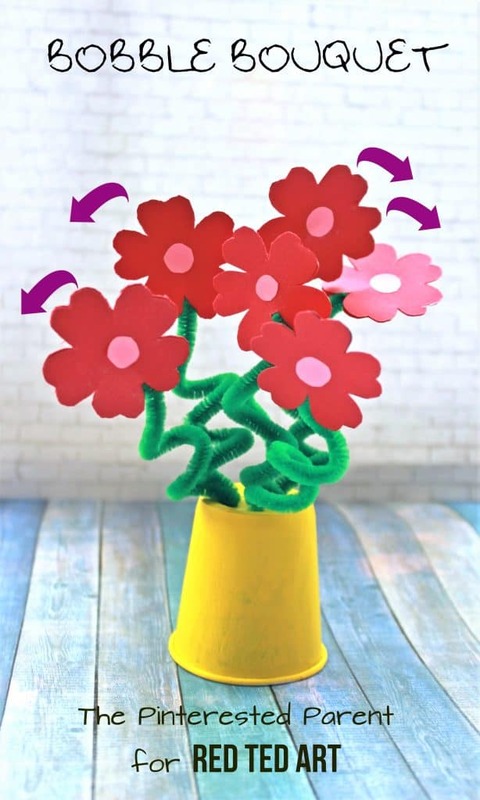 If you’re going to make some cute flowers with your kids to put on display, would you rather use softer materials like fabrics because you’ve been trying to introduce them to new materials besides just construction paper and markers? 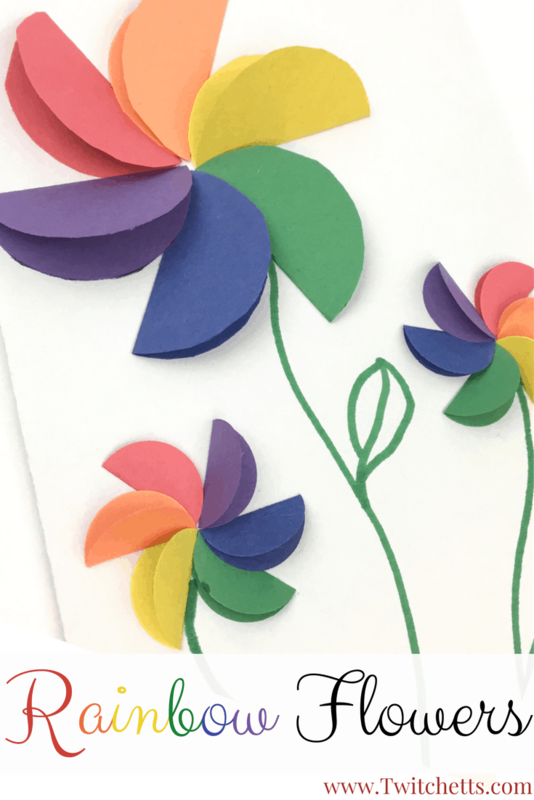 In that case, we’d absolutely suggest taking a look at the way Happiness is Homemade made these cute layered felt flowers with button centres and paper straw stems! 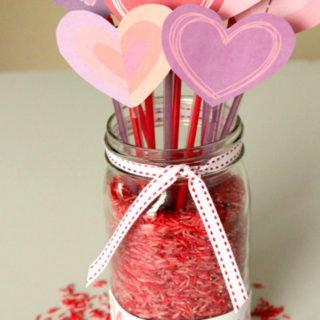 We love the way they look all together in a vase like this. 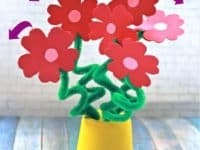 Just in case you’re very much into the idea of making cute bunches of flowers but you’re looking for something that will have some fun movement and used easy things you probably already have in the crafting drawer, here’s an awesome tutorial from Red Ted Art for making pipe cleaner bouquets! 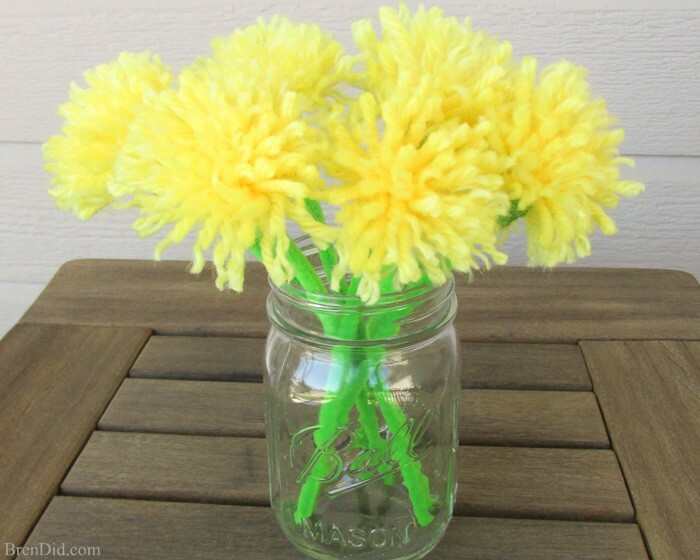 We love the way the curl in the pipe cleaner lets the flowers bounce around. 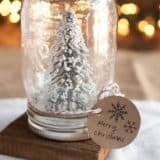 Have the ideas that have caught your attention the most so far actually been the ones that involve upcycling some kind of simple kitchen supply into something crafty and pretty, but you don’t have any cupcake liners right now? 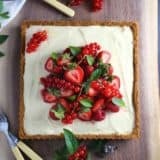 Then reach for the coffee filters instead! 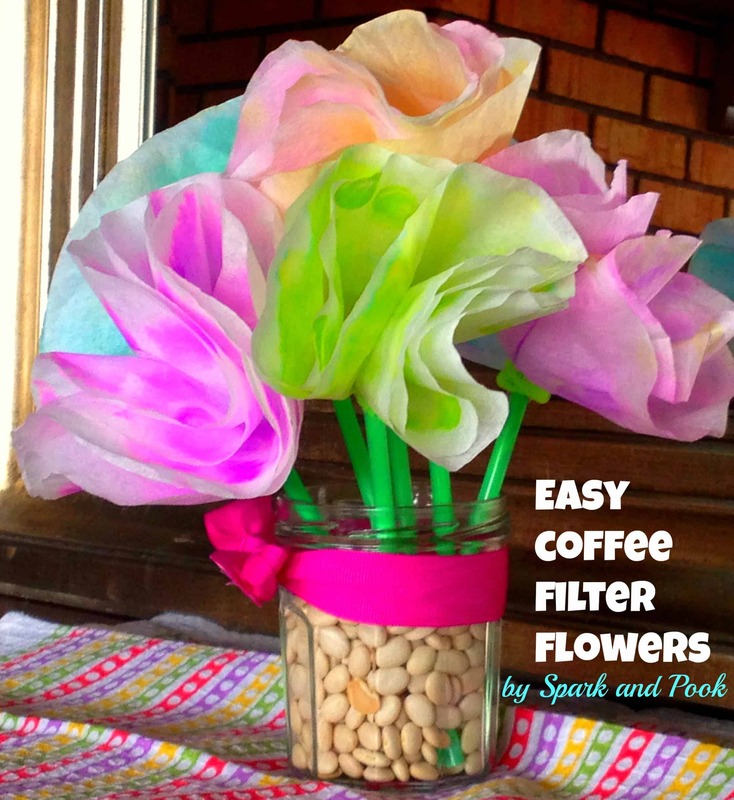 Spark & Pook shows you how to make a bouquet of flowers that’s created by paint dying and layering coffee filters in a super simple way. 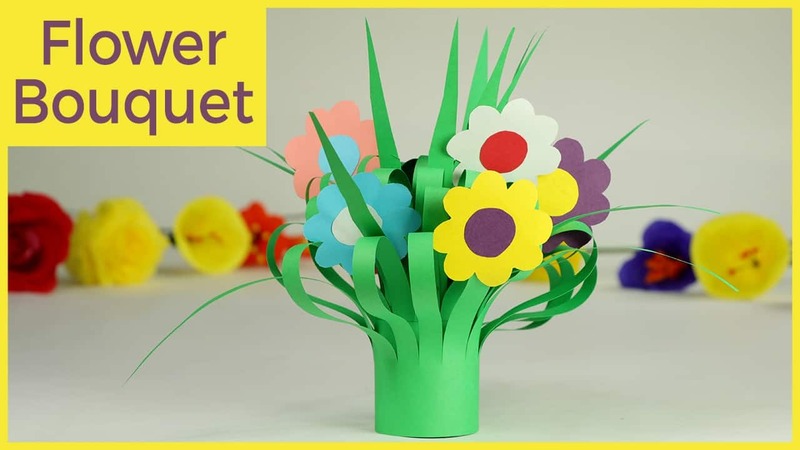 We’ve shown you a number of ways to make flowers from the things you probably have sitting in your recycling box by now, but that doesn’t mean those are your only options! 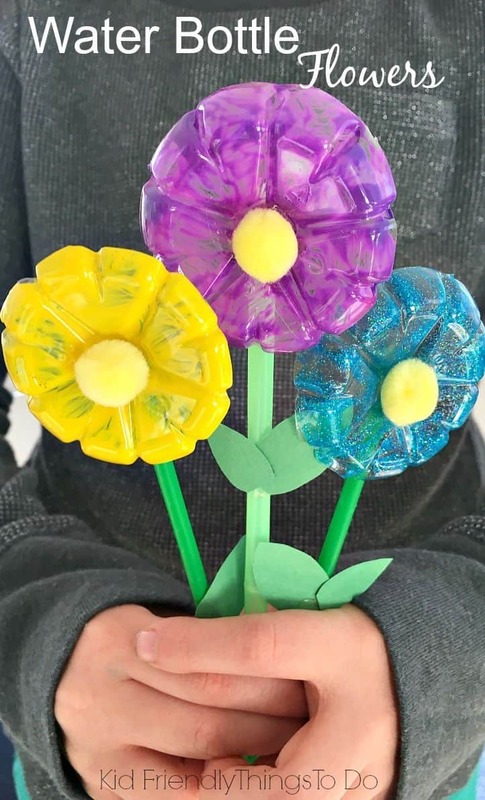 If you’d rather repurpose plastic, we’d definitely suggest taking a look at how Kid Friendly Things to Do cut off the bottom of a series of water bottles and painted the pieces to look like petals. 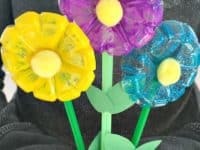 If you’re going to get into the world of floral springtime crafts with your kids, would you much rather craft with actual flowers wherever possible? 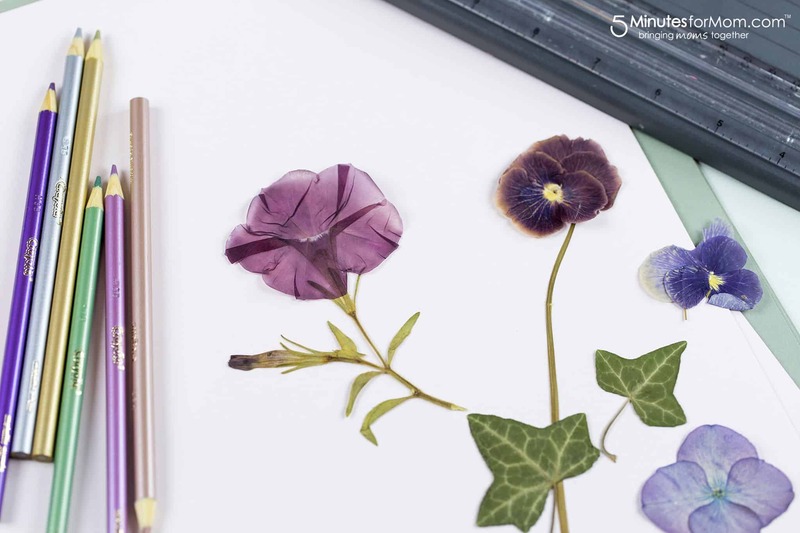 In that case, we’d absolutely suggest teaching your little ones how to properly press and dry fresh flowers and leaves and then turn them into stunning pasted art and illustration, just like 5 Minutes for Mom did here. 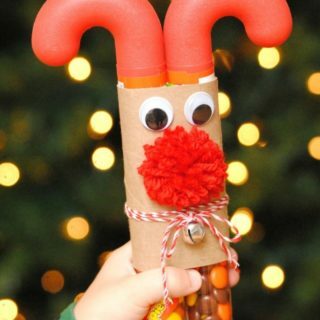 Maybe you’ve been on the lookout for simple kids’ crafts that use the beginner’s version of techniques that they might develop into more specialized skills when they’re older? 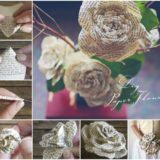 This fantastic yarn sewing flower craft from Hello, Wonderful is the perfect example of what we mean. 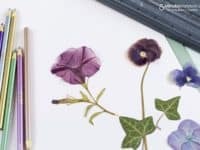 Your kids will be doing sewing, cross stitch, and embroidery in no time but, for now, here’s a cute way to help them add easy stitched colour to a flower! 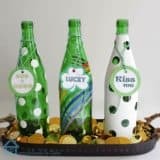 Have you actually got a number of plastic bottles that you fully intend to turn into flowers like we showed you above but now you’re looking at all the lids from those bottles and wondering whether those might be used for something as well? 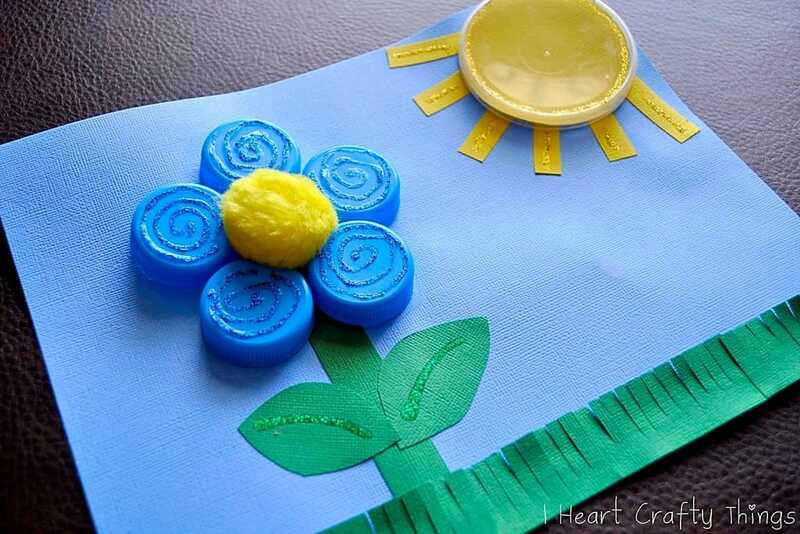 In that case, we think you’ll really appreciate the way iHeart Crafty Things made this simple little flower project from some bottle lids, arranging them carefully to be glued down and decorated with glitter glue. 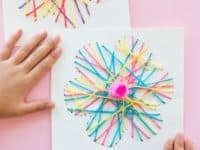 Did we really grab your attention when we started talking about yarn crafts because you’re an avid knitter and you always have plenty of scrap yarn lying around for your kids to get creative with? 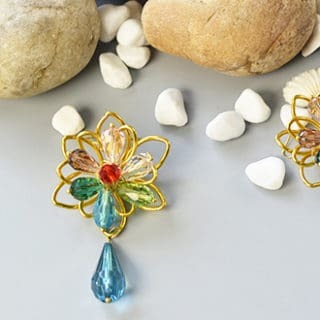 Then here’s another idea for your consideration, just in case you’d like to collect more than one technique! 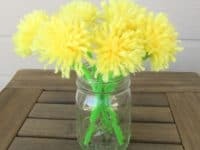 Bren Did shows you how to make very simple yarn tassels and how to fasten them to the tops of pipe cleaners so you can put them in a vase just like the real thing.